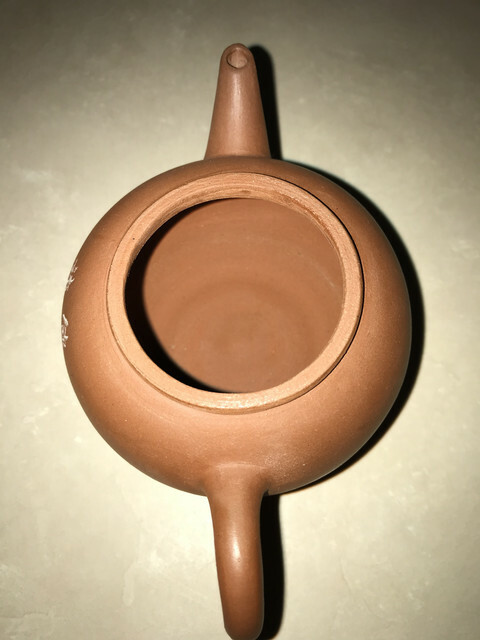 Where should I buy authentic Yixing Clay Teaware? I would be glad for every Info, every little feedback from you, before my first purchase, please help me out. I do not need a vintage one, just one which is handmade, authentic and made from good quality clay, with care and talent. Please also suggest a good sources where I can order from. Re: Where should I buy authentic Yixing Clay Teaware? For one, go by the price, anything under 100 USD is likely of questionable clay and surely not handmade. Most Yixing pots, now and vintage are never fully handmade. Partially moulds are used. Fully handmade is either pre-Yixing factory 1 or modern, both are very very expensive. 500 minimum, if you can even get it, demand is high. Anyways, you do not need fully handmade, standard part manual, part mould is perfectly fine. Clay is more tricky. The good and pure clays mostly ran out a while ago, decades, or what is left is now scarce and usually made into premium priced pots. Most modern clay is a blend of one kind of clay or the other, sometimes not sure what exactly... so a tiny possible health risk. Good luck with the hunt and be careful, it is addictive and does lead down the rabbit hole! You might check out Essence of Tea and Chanting Pines. Lukevecent eBay seller. Modern pots. Low quality knockoffs. The ball filter on this pot is atrocious. Their current selection doesn’t consist of anything I’d recommend to someone wanting decent clay/vintage but maybe their pots used to be better. Mind posting some pictures of pots you’ve purchased from this seller? I don't mind fake pots at all as long as they are made of real Yx clay. QSN in this case. A different story would be paying 1,500 bucks for a 60s pot and end up being sold a replica. That's called being ripped off. This one brews excellent tea, so it's a winner. Cheap pot good clay. Happy as! Seller told me craftmanship isn't good but it's pure clay. IMO is decently made too. azteke wrote: I would be glad for every Info, every little feedback from you, before my first purchase, please help me out. I suggest you to use zi ni teapot first. more than $60 and choose the desgin you like. ebay has more choices. FBee wrote: Most Yixing pots, now and vintage are never fully handmade. Partially moulds are used. Fully handmade is either pre-Yixing factory 1 or modern, both are very very expensive. 500 minimum, if you can even get it, demand is high. Fully handmade modern Yixing teapot prices begin at around $200, but these are not by famous or ranked artists and they are often of simple shapes (xishi, shipiao). There are plenty of artists making fully handmade teapots in China and they are not difficult to find. The prices for teapots made by ranked and recognized artists is much higher (can be $1000 and up). Yes, these are the "half-handmade" teapots. This is a very old (traditional) technique and there is no difference in the clay if it is made this way or fully handmade. The report of Yixing clay's extinction was greatly exaggerated. There is plenty of zisha (Yixing clay) being mined, processed and aged every year. This is especially true for zini (purple clay) that makes up the vast bulk of ore being mined. Depends on what you mean by pure. There is "pure," only consisting of original zisha ore mixed together. Many recipes for zisha clay are mixes of more than one kind of zisha. This was true before and is still true today. There is also "pure," meaning only one kind of ore. You can find both kinds in any reputable studio today. https://www.mudandleaves.com/store/c1/mudandleaves. Factory 1 Teapot enthusiasts also have a bias. 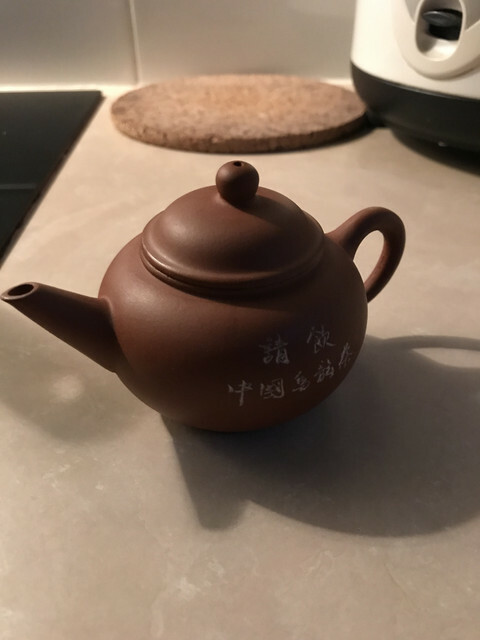 I would argue that the production processes for modern Yixing teapots from reputable studios are more transparent than those for F1 teapots (and that's if the F1 teapot you buy really is an F1 and not a fake, which is a hazard for F1 collectors). The craftsmanship for modern teapots is often much better than F1 teapots as well. Last edited by oolongtimenosee on Jan 20th 19 10:48 pm, edited 1 time in total. bagua7 wrote: I don't mind fake pots at all as long as they are made of real Yx clay. QSN in this case. Knock offs are fine if you find one with decent clay. This pot is abvious not early 80’s or f1 so it seems very odd to me that you would make the claim as a way of endorsing an eBay vendor that sells very cheap pots. It’s also likely made 90’s or newer and as such has a much higher likelihood of not being of pure zisha. I wouldn’t rely on anything this vendor tells you considering the fact that they claim their fake f1 are real. Hi Guys. I can’t speak for your Yixing Mr Mudandleaves but I will vouch for an eggshell gaiwan I bought from you a couple of years ago. Really fine stuff! I would also suggest a newcomer look at the teaswap section of this forum, there are some real steals to be found. Users here tend to be more honest than most vendors and will usually sell at retail or below instead of trying to mark up prices. Also, if you are drinking alone wanting to Gong fu your tea then buy smaller than you think you want/need to. The pot will probably still be too big! Good luck... and send pictures, we always like seeing other people’s pots! But honestly does it really matter? Can you really tell the difference when brewing tea? A: No, in my opinion. oolongtimenosee wrote: The craftsmanship for modern teapots is often much better than F1 teapots as well. In the end "quality water" and "good tea" is what really matters...and of course a zen mind. Meanwhile, I keep enjoying my cheap 'fake' pots! Last edited by bagua7 on Jan 21st 19 6:37 am, edited 1 time in total. Same as the pots sold by "Lukevecent" on eBay. Lovely quality and great prices. I have tasted a 1920s and a mid-60s puerh brewed in a 1800s pot owned by a HK collector and honestly what blew me away was the tea not the pot as we also used a gaiwan as the vendor didn't want the 'damn' clay to steal any of the subtle the nuances of such aged teas and IMO there was no difference whatsoever. Old pot = modern porcelain = same thing to me.